With all the current excitement around Prosecco, it is often forgotten that Italian sparkling is much more diverse than just that fruity fizz. Another option is Franciacorta. The region that makes their wines in the style of Champagne, from chardonnay and pinot noir and with the second ferment occurring in the bottle. These are wines that offer a richer, creamier glassful than Prosecco and often are a tad less than Champagne. Ripe, lush and toasty. 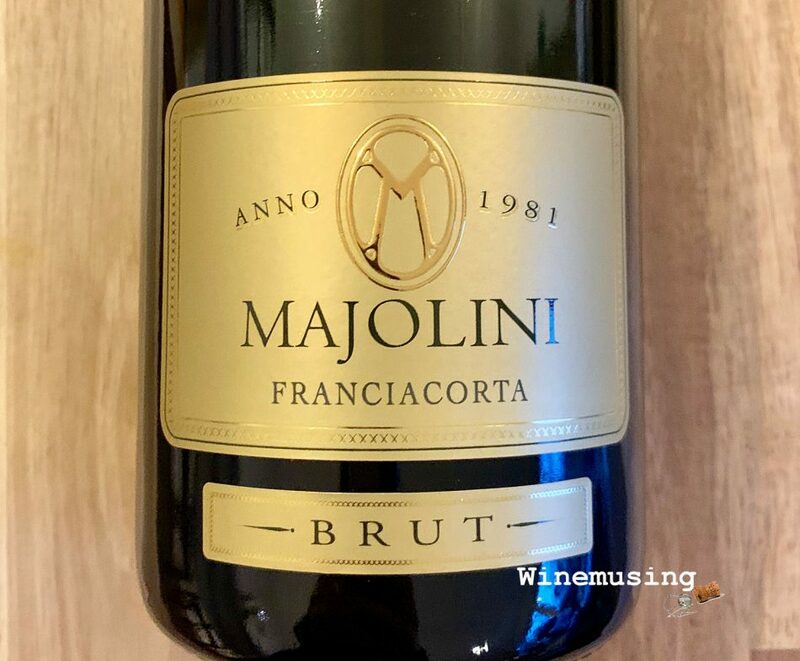 The Majolini Brut is a blend of 90% chardonnay rounded out with 10% pinot noir grown on higher slopes. A portion of Chardonnay has been matured in barrel giving the blend some additional soft spice note. The stonefruit is ripe and dripping is offset by crisp apple and is joined on the palate by a pastry shell. That vanilla spice makes this a good wine for all seasons and particularly with food, grilled fish and salad or a simple chicken pasta with a handful of fresh basil leaves, goat’s cheese and pine nuts. Or some delicate tartlet canapes. You are only limited by your imagination. This wine was sent to me (as a sample for review) in one of the Nosy Wine boxes however, as always my review of this wine is my own.